This is a powerful statement, but the more I learn about nutrition the better I understand it. Conducting a chemistry experiment in a test tube to see what happens when you combine substances is essentially the same as putting food into your body. In a post later this week, I’ll describe one way to measure biochemistry and what happened when I put myself to the test. Adding this green smoothie to my family’s morning routine – every single day – is one way I hope to achieve healthier biochemistry. And it tastes really good, too. Liquefy all ingredients in a high powered blender designed to make smoothies (our favorite is the Vitamix, which was well worth the investment since we use it daily). You can also add chia seeds, flax, maca, or another booster for added nutrients. And experiment with other greens and low-glycemic fruits to keep things interesting. Notes From Day 5/365 :: I am beginning to get the hang of this (although not feeling like I am getting a solid 5 servings on the crazier days). To get at least my daily five, I need to plan ahead, start early, and begin the day with something green. Did you enjoy your daily five? p.s. I usually post my own photos, but I love this one taken by ISCHMIDT/Shutterstock. The boy looks just like my son did a year ago! 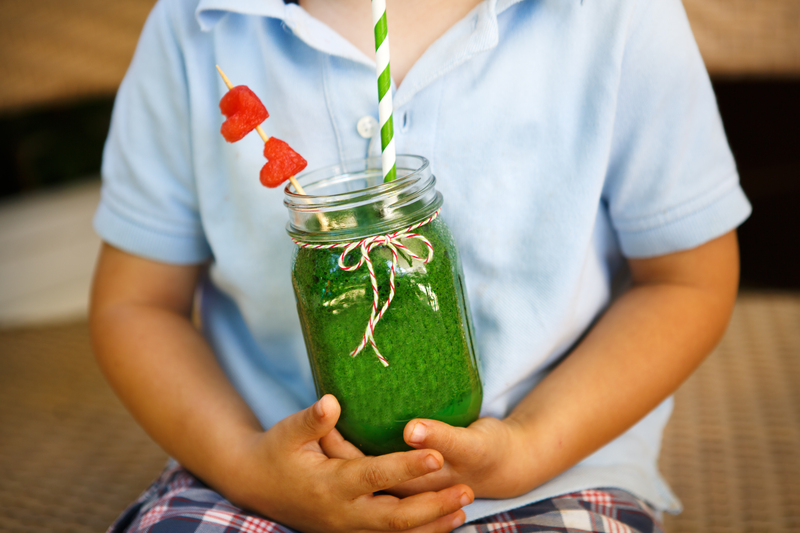 And this looks just like our daily green smoothie! i wondered if that was Brody. super cool messages. i love the short and to the point posts; it makes me make sure i read them! In my original recipe, I suggested including the peel and seeds of apples. However, my daughter just taught me something new; the seeds are not the best to eat. For more information, visit http://www.livestrong.com/article/188977-apple-seed-toxicity/. I’ve updated the recipe to reflect this change – no seeds!